Just a quick line to say thanks to Syd for sponsoring me. 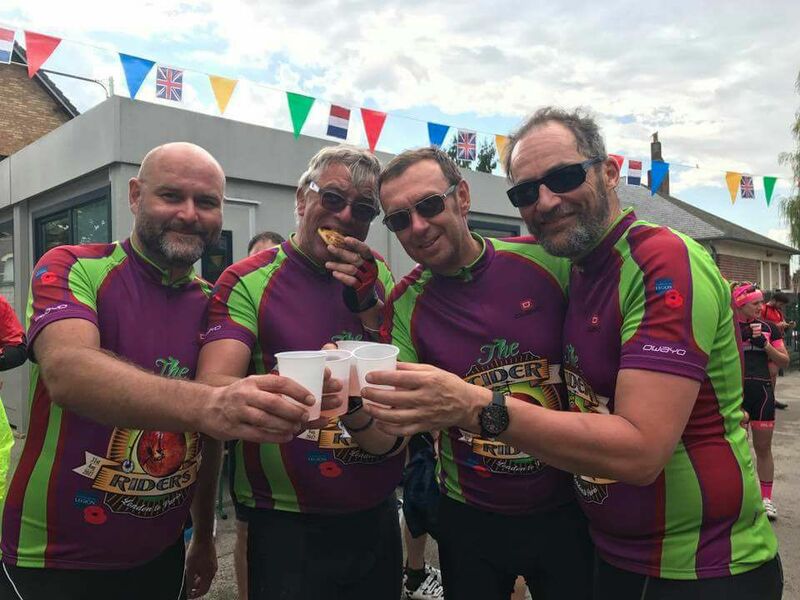 Team Cider Riders set off from Eltham Palace, in the borough of Greenwich, London last Thursday morning around 7am. We rode to Dover where we caught a ferry to Dunkirk. The following three days involved some great riding in northern France on closed roads (we had over 30 motorcycle outriders) so no need to stop at junctions/traffic lights etc. 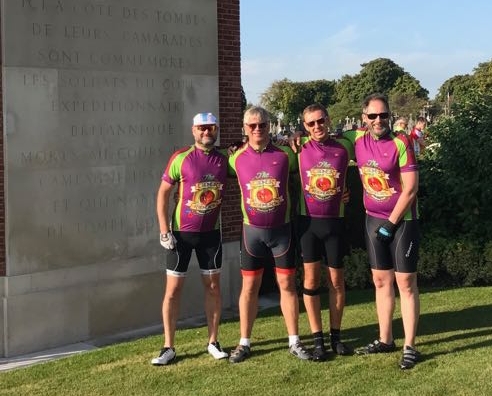 We arrived at the Arc de Triomphe around 2pm on Sunday afternoon after riding up the Champs-Élysées, which had been closed for the event. 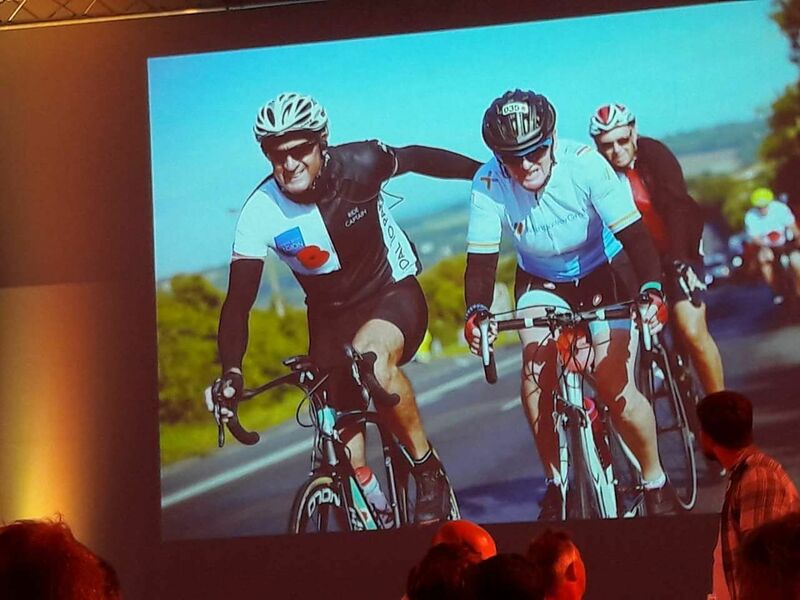 Over the 4 days we rode 483k, climbed 4696 metres, spent 25 hours and 16 minutes in the saddle and burnt off 14,614 calories. Not easy but definitely worthwhile and something I'll never forget. 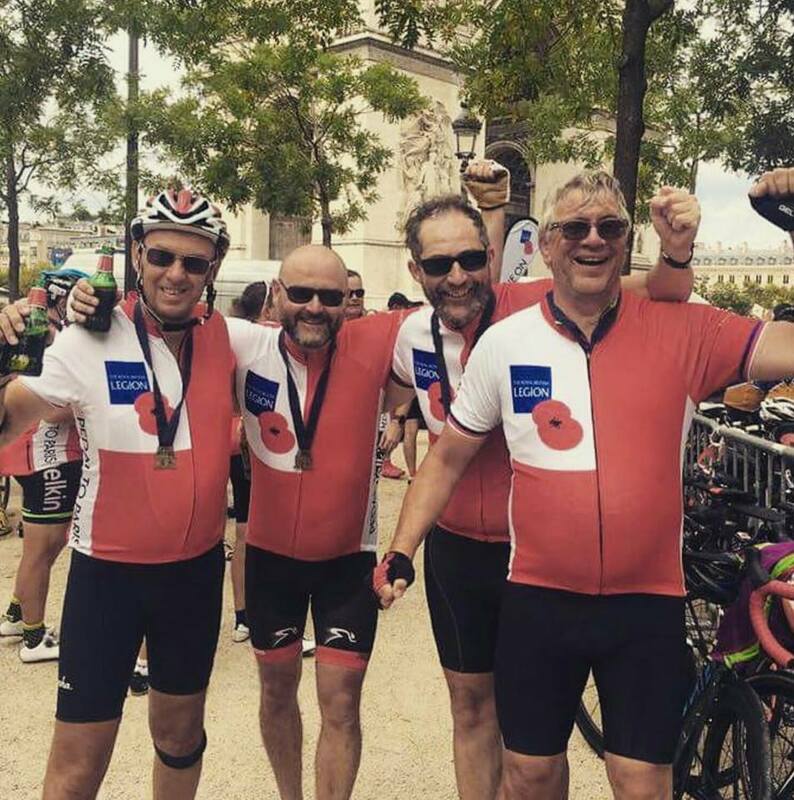 Well done Steve , you certainly put the miles in and you got to ride your bike down the Champs-Élysées which alone , would have been worth the trip I think . A couple of years ago l walked from the Arc de Triomph to the Place de la Concorde , that was superb but on a bike even better. . I'd forgotten about this - sponsored about 6 months ago - it puts the training for it into perspective. 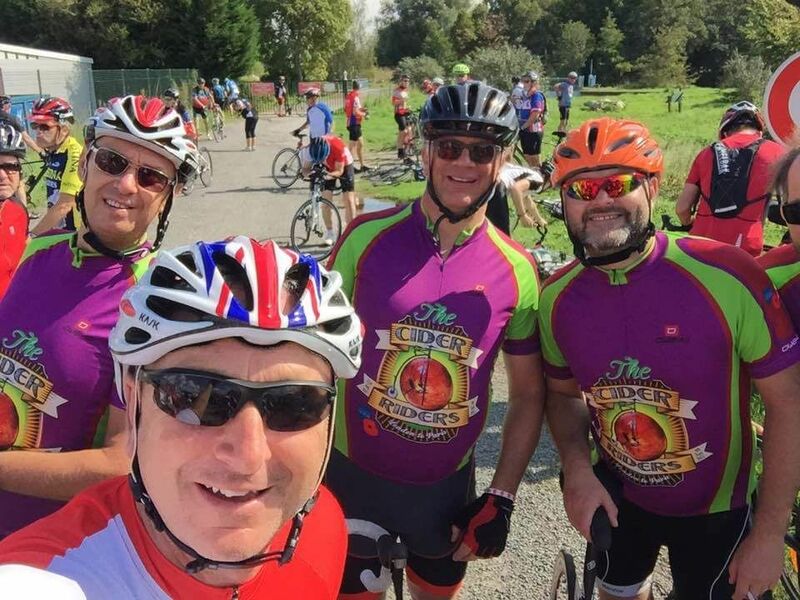 The Cider Riders, and had jerseys made up with the Team Logo on them. Think they looked quite nice. Good pics Steve . What is the strap below your knee , is it something to do with the Craft ? Great job! And you can still stand upright and smile afterwards. I don´t know how you do it. Not that sinister I'm afraid Simon. Have suffered with knee pain for a while now...think it's a touch of arthritis. The strapping was something my chiropractor suggested.